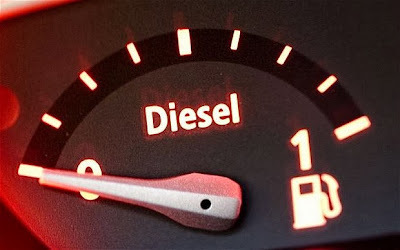 Home » Oil » Will Diesel dominance in EU be replaced by EVs? Will Diesel dominance in EU be replaced by EVs? Europe's car fleets have been persistently transformed from being petrol-driven to diesel-driven over the last 20 years. The EU average for diesel new car sales is 55%, with Spain and France as high as 70%. According to leading automotive engineers the dominance of diesel engines in Europe’s new car market could be over before the end of the decade. A combination of increasingly stringent emissions regulations and the high cost of new-generation anti-pollution technology will make diesel engines much more expensive along with the high possibility of significant rises in the price of diesel fuel making them more expensive to run. Will EVs fill the void? With the average cost of fuel across the EU approx € 1.50 / liter (US $8 /US Gallon), those prices have driven european motorists to sacrifice the performance of a petrol engine for sluggishness and jack-hammer like soundtrack of a diesel engine in search of 10-20% fuel efficiency improvements. Based on these motives, if a 10-20% fuel saving can generate 50-70% market share of new car sales, then a 95% energy cost saving running a plug-in electric car has the potential to take over significantly more than 70% market share.